I wasn’t surprised; I had known Jason would show up sooner or later. That’s when I felt an iron-hard grip grasp my shoulder. I lost my touch on the book as he flung me around and slammed me hard against the thick library shelves engraved decoratively with pens, pencils, and quills. “Not here, Jase,” I hissed, studying his piercing blue eyes as he pinned me under his gaze. Family? That was exactly why I had turned on the ISA. My chest tightened when I thought of Liv. Everything I did, I did it for her. Jason didn’t understand. I shook my head, my eyes never leaving his daggering ones. “I wasn’t trying to get rich,” I muttered, thinking again of Liv. Oh, how happy she used to be. Flashing back to the late summer nights where I would watch her from the kitchen window, it was almost as if I could really, truly see her again. There Liv would sit on the bank of Lake Robertson, right outside Aunt and Uncle’s cottage. 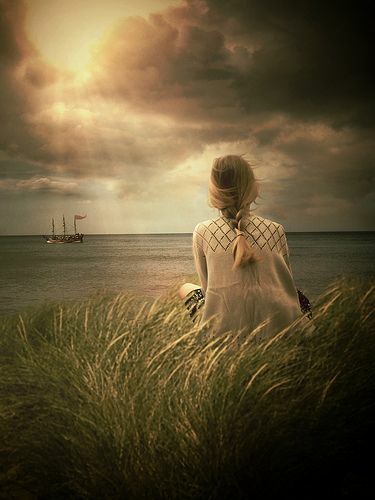 Completely lost in her daydreams, she’d gaze out upon the water at the beautiful ships gliding majestically through it. Little waves would lap gently around the boats’ smooth sides, white-capped and playful. Liv would close her eyes as she heard the wind rustling through the trees, breezing across the lake and reaching her face, cooled by the near-still water. But then Auntie Elle passed, and finally Uncle Theodore. Once Liv was gone, I cried bitterly the day I had to hand her over to the orphanage. It was only then that I realized how badly I needed the temporary work given to me by the ISA. And it was then that I accepted their pushing offer of working full-time. With the extra money from my espionage job, I was able to get Liv out of the orphanage and rent ourselves a small home – but we were poor. It was hard enough to keep meals on the table with Liv alone living there; when I came back after missions, it was a whole new struggle to pull together enough money from my measly paycheck to buy more rations for both of us. Inside, I felt like dying on the days I had to send her to school without breakfast until our coupons were valid and we could buy food. The ESO, Exposed Secrets Organization, was the only way I could provide a better life for Liv. Half of me felt relieved when we were able to pay the rent months in advance; the other half felt remorsefully guilty for betraying the ISA and handing over their secret info. But if there was anything I had learned from working as a secret agent, it was to die to your emotions and do what you had to do. You could have emotions, but they couldn’t have you. 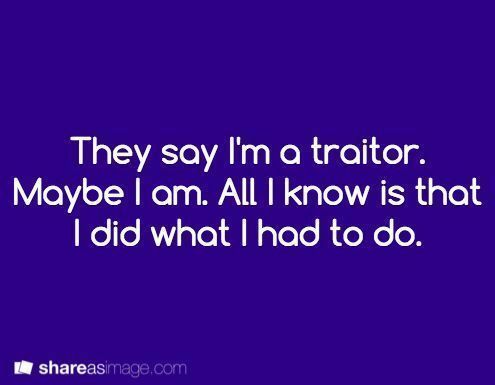 Betraying the ISA was what I had to do. And that was exactly what Jason was furious about. “I had to do what was best for my sister,” I muttered, feeling guiltier and guiltier. I had betrayed family, and it felt terrible. I had been with the ISA for years! But Liv was family, too. She was my real family. His words made my blood turn cold. No one repaid vengeance upon traitors like Jason. Taking that as my cue to get out of here, I whirled back to the book halfway taken out between the others. I snatched it with one hand and darted out of the aisle, but not before flipping my thick brown curls over my shoulder and throwing one last glance at my former secret agent partner. Both our blue eyes met; one pair filled with remorse, the other filled with hatred. Jason was holding his own book that he had come for – probably research for the ISA, like I had come for research for the ESO. At first I was frightened, his threat repeating itself over and over again in my mind as the librarian checked out the book of research for the ESO for me. However, I then relaxed, knowing that Jason could never turn on family – even if I had. But I had done it for Liv, my real family. Hmm. It’s okay. 😉 🙂 Kind of reminds me of Wherever You Go, with the older sister sacrificing much for her younger sibling, no parents, etc. 😛 But it was fun to write nonetheless. ? Anyway, this was fun to write. 😀 I can’t believe TIWC has gone by so quickly! 😮 Thanks for hosting it, Grace! It had been super fun and a great way for me to grow as a writer. ?